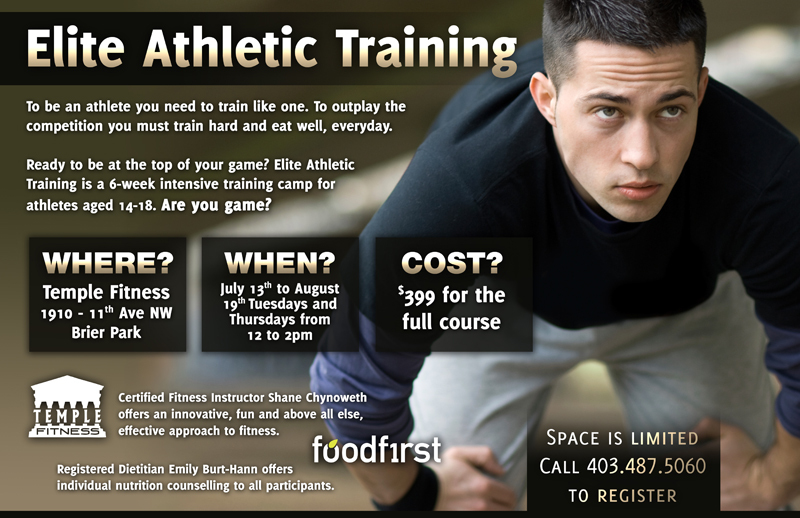 Elite Athletic Training is a training program being offered by Temple Fitness and Food First, two local businesses. It is designed for youth (aged 14 to 18) who are participating in sporting or athletic endeavors to get healthier and be more fit. The 6-week training program will be taking place from July 13th to August 19th at Temple Fitness and will cost $399 to register. Featured in the program is certified fitness instructor Shane Chynoweth from Temple Fitness, and registered dietitian, Emily Burt-Hann from Food First – Teaming up together to offer this unique program. This entry was posted on Saturday, July 10th, 2010 at 6:42 PM and is filed under Sporting Events, Stores & Businesses. You can follow any responses to this entry through the RSS 2.0 feed. You can leave a response, or trackback from your own site. 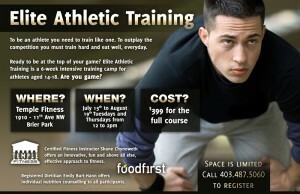 Shane is a fantastic personal trainer. He helped me prep for the MHPS Pare physical exam. I passed. While i ran the actual exam, he ran me ragged before hand. His input is well worth the dosh!